The wonderful Lucy is hosting an International Women’s Day link-up at Lulastic and the Hippyshake, so head over there for a great collection of posts. 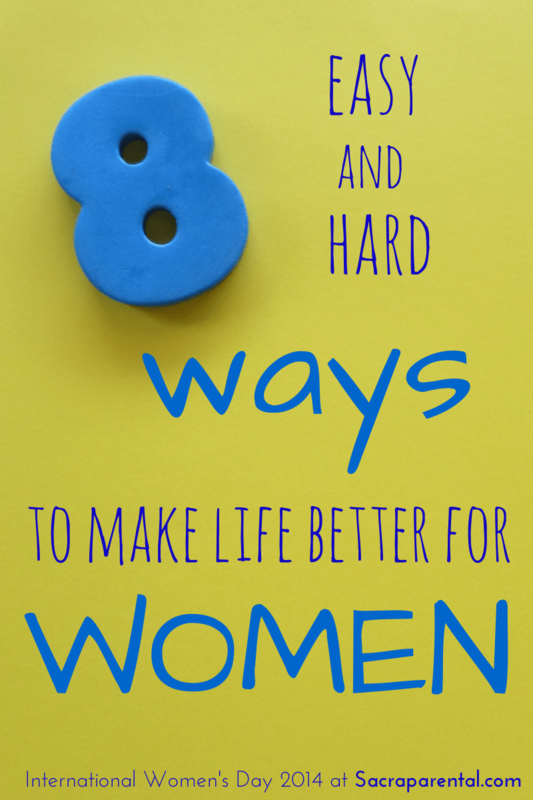 It’s International Women’s Day, so without further ado, here are 8 ways – some easy, some not – that you, yep, you can make the world a better place for girls and women to be in. Go on, pick one! Right now there are around 67 million under-18s around the world who are married. In Niger, 36 per cent of girls in Niger are married under 15. Young women who have babies before they’re 15 are five times more likely to die in childbirth – that’s just one reason child marriage is an enormous problem for women and their families. Read more here to find out how to help. The Girl Effect explains why targeting adolescent girls is a remarkably effective and important way of changing the world for the better. The English language is restless. It doesn’t stay still. It used to be true that most English speakers could hear a challenge like ‘He who dares, wins!’ and understand it to be gender-neutral. Not anymore. If your language assumes that the natural state of a human is to be male, you reinforce millenia of oppression and make it just that bit harder for girls and women to imagine themselves as agents of change. So give us a break. Say ‘humanity’ instead of ‘mankind’ and ‘they’ instead of ‘he’. Gently correct those who don’t. Especially if you’re a guy. Girls are constantly being told, subtly, that what matters most about them is their appearance. Today, choose a girl of your acquaintance and say something encouraging and complimentary to her that has nothing to do with her outsides. 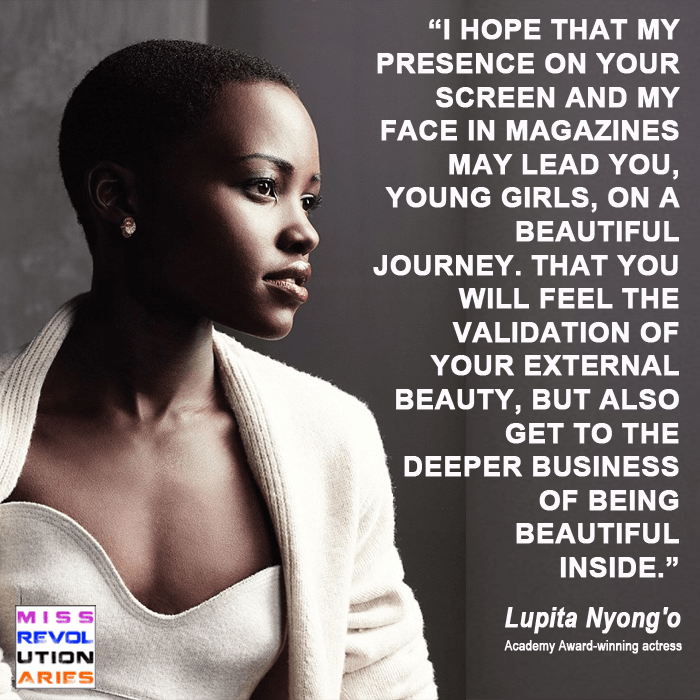 Kenyan-Mexican actress Lupita Nyong’o gave this piercing speech last week, telling the story of her own struggle to accept that a black woman could be beautiful. My mother used to say to me, ‘You can’t eat beauty, it doesn’t feed you.’ You can’t rely on beauty to sustain you. What actually sustains us, what is fundamentally beautiful is compassion for yourself and those around you. That kind of beauty enflames the heart and enchants the soul. Be part of making this feel true for a girl you know. Women who work outside the home still do far more caregiving and housework than men in the same position. Women’s professional flourishing depends partly on work situations that allow practical flexibility. If you know an employer of a large or small business who encourages employees to prioritise family commitments, work from home or provides good levels of parental and caregiving leave, tell them they’re making the world a better place. Of course, the other thing you can do is encourage men and boys around you to see housework as a mission of equality, and roll up their sleeves. At Christian conferences and leadership events I go to and speak at, women up the front are always – always – in a small minority. I’m working to change this, inspired by Rachel Held Evans’ resource list. 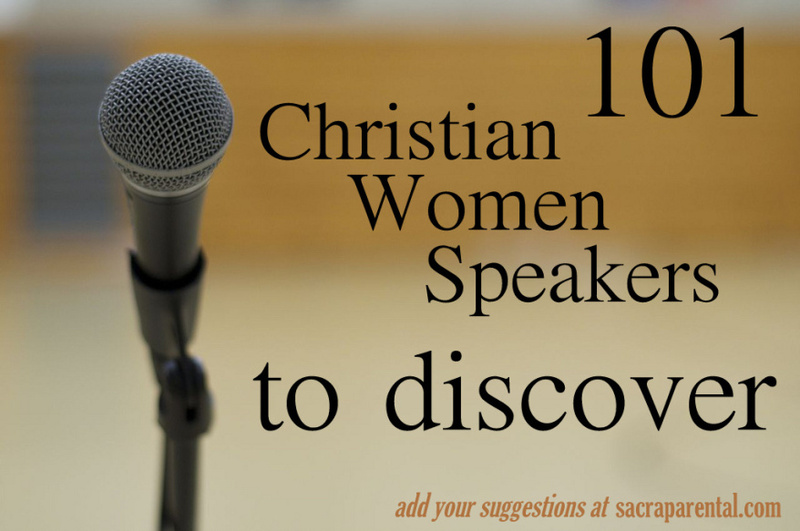 Head here for more info and to add the name of a brilliant woman you know. Boys and girls are both ill-served by the array of books (and other media) that severely underrepresents girls and women – and even female animals. Check out my list of excellent picture books with diverse characters. Head to the fabulous resource site A Mighty Girl for ideas of great books and more. Go to your library or bookshop this week and pick out something wonderful for a kid you know. So what’s number 9? What do you suggest? I’d love to hear more ideas. And do head to Lulastic for more brilliant women. What fantastic points. I especially like the workplace one- there are real people I know that I could have this conversation with TODAY. Happy IWD to you too – x2 really, since we’re doing this across timezones! These are great ideas – especially books with strong female characters. Great, thanks, Mel! I’m glad it’s helpful. Do you have any recommendations? 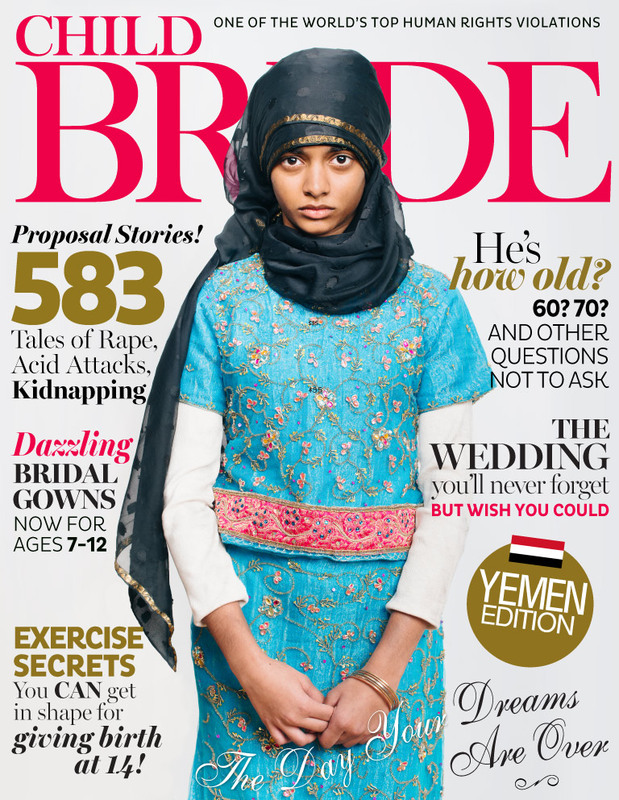 And (terribly) Iraq is looking to introduce child marriage. Conceptually gender inclusive language is fantastic. In implementation it either tends to get really cumbersome or break rules of grammar in mixing singular and plurals. I’m one who probably breaks many rules of grammar, but the mixing of plurals and singulars is one that just grates on my ears. Perhaps English as a language needs to find a few more gender neutral pronouns that don’t immediately give the sense of being cringingly politically correct. Perhaps import words from other european languages that have better pronouns. I don’t know – just a thought. I know what you mean about the ugliness of clunky language. Given that this is a significant social problem, I think – like you – it’s worth doing well. You may be interested to know that ‘they’ has been used in English as a singular pronoun (just as we now use it) for a few hundred years – I think it’s probably going to stick around and become normal usage again. I’m a huge fan of language, grammar, linguistics (and pedantry). And I have found I am able to use gender-inclusive language 100% of the time, in writing and in speech, after a short period of being much more conscious of all the good options. Oh, you are very kind. Thanks, Angie.